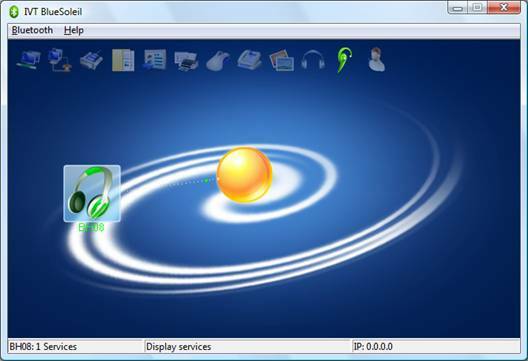 How to carry out voice chat on MSN using Bluetooth headset via BlueSoleil? 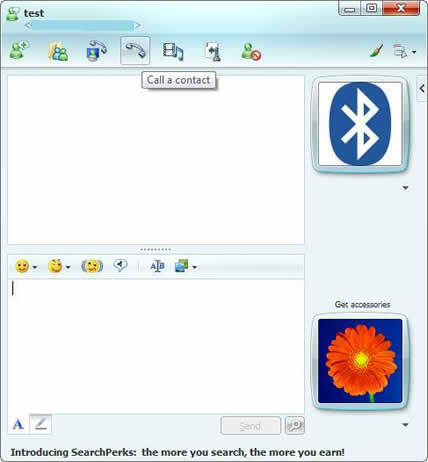 You could easily carry out voice chat with MSN using Bluetooth headset via BlueSoleil. First, turn on your headset and place it in discoverable mode. 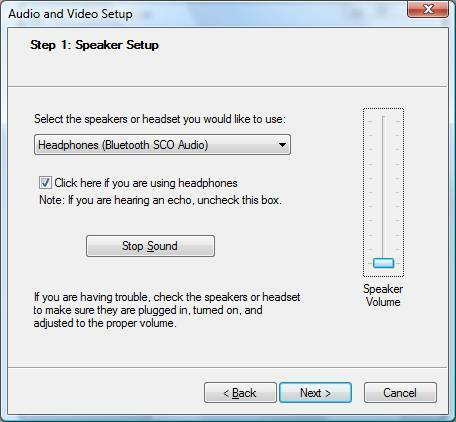 Read the headset user manual for how to set it to discoverable mode. Right-click Bluetooth icon in the task bar. Click 'Display Classic View' and the classic interface will show up. 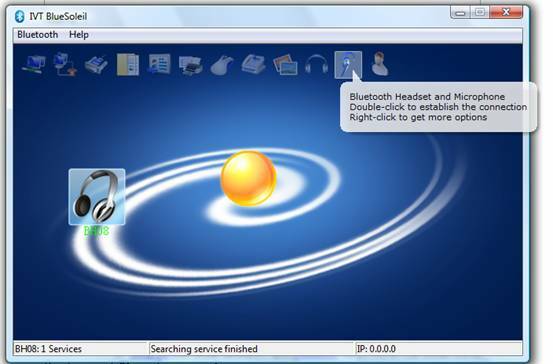 Double-click the golden circle in the centre, search for your headset and connect to it with "Bluetooth Headset and Microphone" Service. A passkey may be needed. Please enter the default passkey of the headset on BlueSoleil. Read the Bluetooth headset user manual for its default passkey. After connected, the "Bluetooth Headset and Microphone" icon will become green. Start up MSN; select a contact you want to chat and click "call a contact"
When the Audio and Video setup wizard pops up, click "next". Select the Headphones (Bluetooth SCO Audio) in the headset list, and then click next. You could test it as well if necessary. 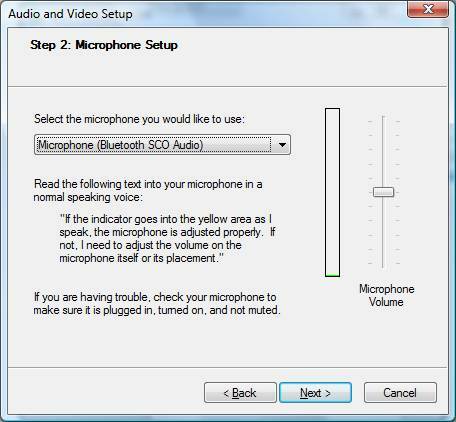 Select the Microphone (Bluetooth SCO Audio) in the Microphone list and click "next". When the "Audio and Video Setup" is finished, you can freely carry out voice chat using Bluetooth headset via BlueSoleil.